Our projects vary from miniatures to monumental. We work with artists online, using digital photos, email and phone for those artists who live outside the Front Range of Colorado. 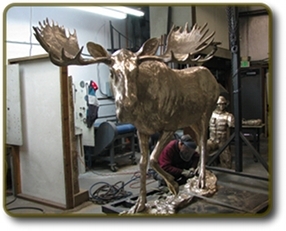 Rocky Mountain Bronze Shop is the premiere bronze foundry, bronze finishing and art transportation shop of the northern Colorado area, providing service for projects from miniature bronze sculpture to monumental bronze sculpture. We provide bronze foundry service for sculpture, bronze welding, aluminum welding, stainless welding, and stainless sculpture services. We do wax pouring and wax chasing for lost wax casting, and are a finishing shop providing bronze installations, art transport, bronze transport, sculpture transportation, metal chasing, sculpture crating, silver soldering services and sculpture assembly to our clients. Located in Loveland, Colorado we have been working in the art world since 1994 and are Loveland's oldest running foundry and finishing shop. We provide all bronze finishing services, stainless steel finishing services, and aluminum finishing services including fine silver soldering and sculpture basing services. Our transportation service includes custom crating using custom built crates for secure sculpture transportation for national and international shipping. We offer competitive prices for sculpture delivery and sculpture installation nationwide. 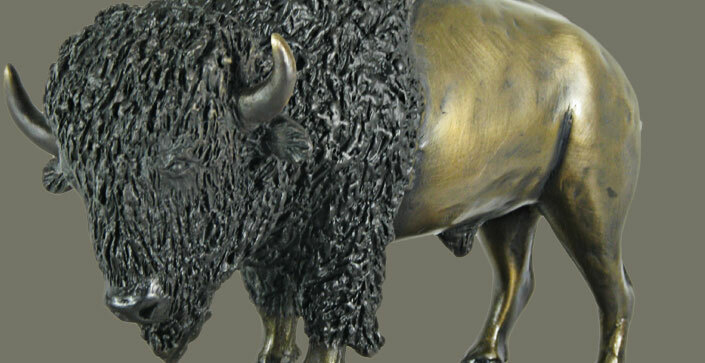 Also, we offer on site bronze sculpture repair services and bronze patina touch up service, eliminating the need to have sculpture shipped for repair. We contract independent foundries for bronze casting, stainless steel casting and aluminum casting. We also contract independent mold makers and patineurs, and together our independent art community works closely to produce the most outstanding product for each of our artists. Working with local artists, sculptors and others nation wide, we provide regular digital photography of the sculpture during the finishing process and are readily available for phone consultations, making sure that our clients are well informed and can then keep their clients equally well informed during the development of the custom artwork.